A sealer and colour enhancer all in one. 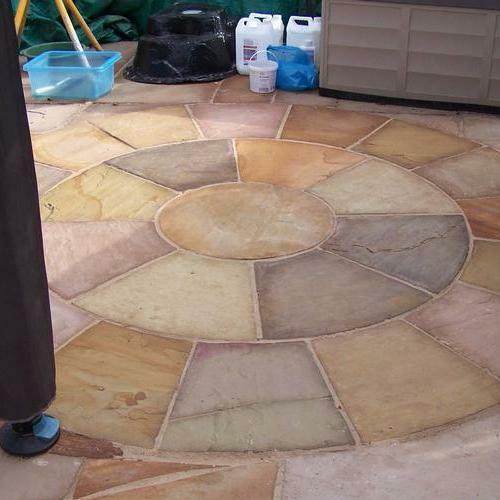 Review, You will see from the photographs that the Sandstone circle treated with two coats of colour enhancer is fabulous Andy Kaye. A colour intensifier that seals and protects all types of Stone. Seals and delicatly enhances all in one. No surface film is formed so does not get slippery when wet. Perfect for high UV areas. Brings back the NATURAL colour of dull faded Stone. Gives excellent protection against water, and prevents frost damage. Stops black spotting, mildew and dirt stains. Coverage 8 to 15 sq metres per litre depends on type of stone a second coat can be applied to improve colour but must be applied within the hour of the first coat.. 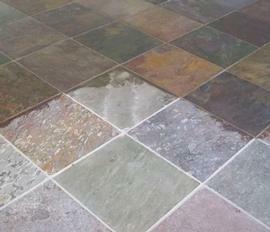 If your Stone is dirty we recommend cleaning with Pre sealer cleaner before the application of new sealers. 1 litre covers 50sq metres. To maintain your Stone we recommed cleaning with after care cleaner.